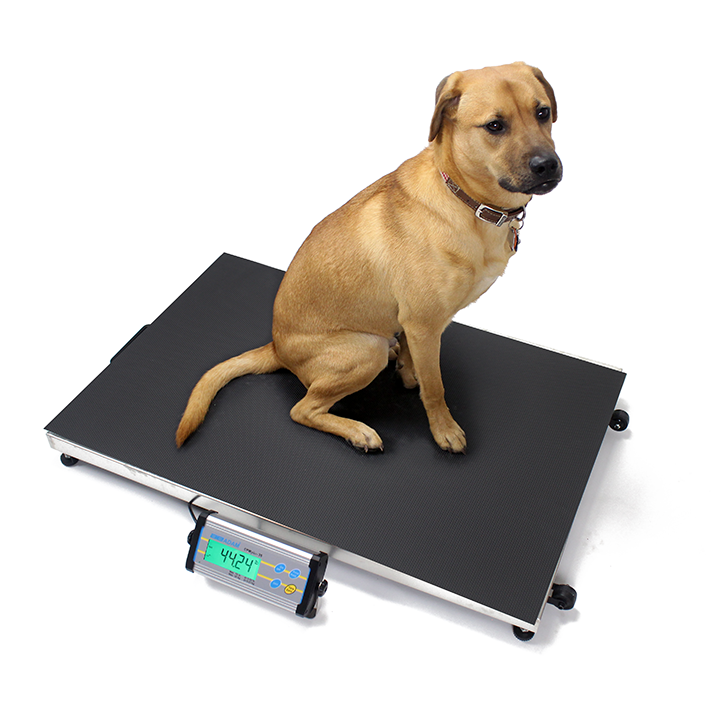 Suitable for use in the office or in the field, Adam Equipment scales and balances provide the durability and dependability required for all types of veterinary and animal weighing needs. In the veterinarian's office, on the farm, or at the zoo, our scales can be used for lab testing, preparing medicines, checking the weight of small pets and large livestock, and monitoring food portions . For animal weighing, Adam offers scales that can hold the weight reading on the display, which hastens the process and allows the user to focus attention primarily on the animal. A dynamic weighing function averages weight readings taken over time, providing reliable results, even for animals that are moving. Adam balances are portable, offering flexibility and accurate measurement in lab testing, or when compounding and preparing medicine. Veterinarians and animal care professionals worldwide turn to Adam for weighing solutions that deliver speed, performance and value. MTB animal weighing scale for comfortably weighing small animals and household pets including dogs, cats and reptiles. Includes removable cradle for weighing cages and containers. Nimbus precision balances feature solid metal construction throughout the balance to withstand chemicals and rigorous daily use. Suitable for universities, vets, medical use and science labs.